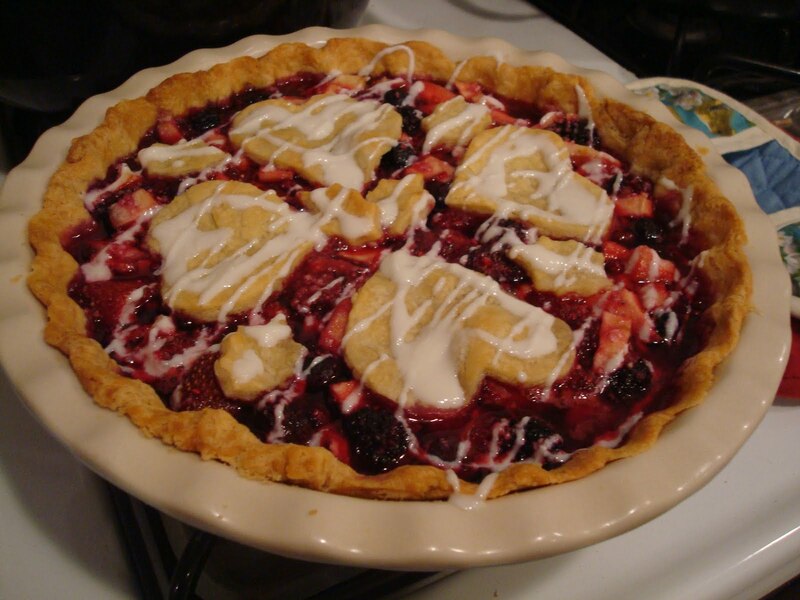 Bumbleberry, sometimes called mixed-berry, triple berry, or five-fruit pie is one delicious smelling pie. Right out of the oven, it's up there with apple and pumpkin. The wonderful thing about it is that it allows for some creativity. 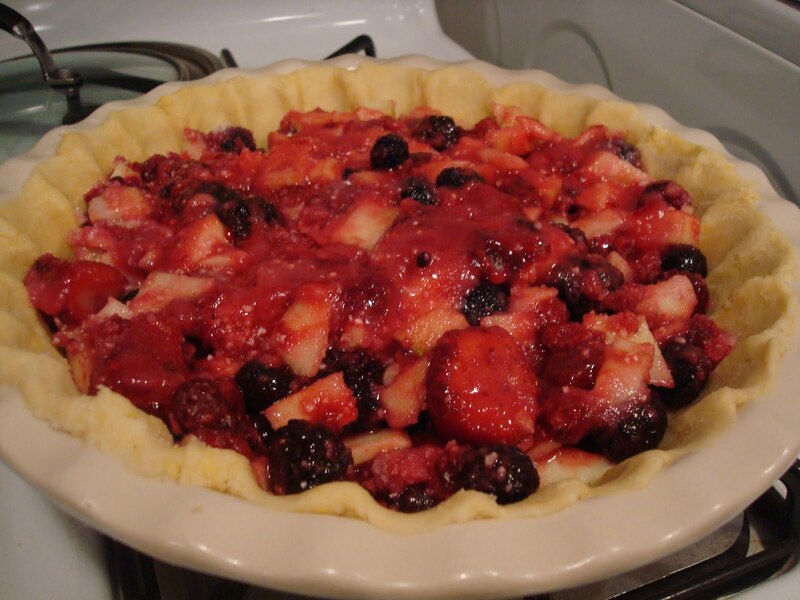 You can use almost any combination of fresh or frozen fruit in this pie, though most recipes call for at least one thinly sliced apple, at least three types of berries, and some rhubarb. You also have options as far as making a top crust. I made this recipe very user-friendly so you don't need to include rhubarb, as I don't think most people have it on hand. It's a perfect pie for the holidays, because you're going to rely on frozen fruit anyway since it's difficult to get the right combination of berries in season, all at once. Of course, it's great any time of year. or any combination thereof. You want 4 cups of fruit in addition to the apple, and the combination is up to you, though I advise sticking to berries. Another easy way to accomplish this is to buy a frozen 1 lb. bag of mixed berries from the freezer case, and then you will have a good selection of fruit that approximates 4 cups. Just make sure to defrost the fruit completely and drain the liquid before the next step. Now allow this to sit while you get your crust together. You want a regular 9-inch pie crust and enough dough for a double crust. Next, fill your pie with the fruit mixture. You can make a full top crust, though I would suggest using a pie bird in the middle of the pie to protect your oven from a spillover. A lattice crust always looks nice on almost any fruit pie. Someone in the last post suggested cutting out fun shapes for the upper crust, so that's what I did here. Just dip your cookie cutters in flour and place your fun shapes on top of the pie. 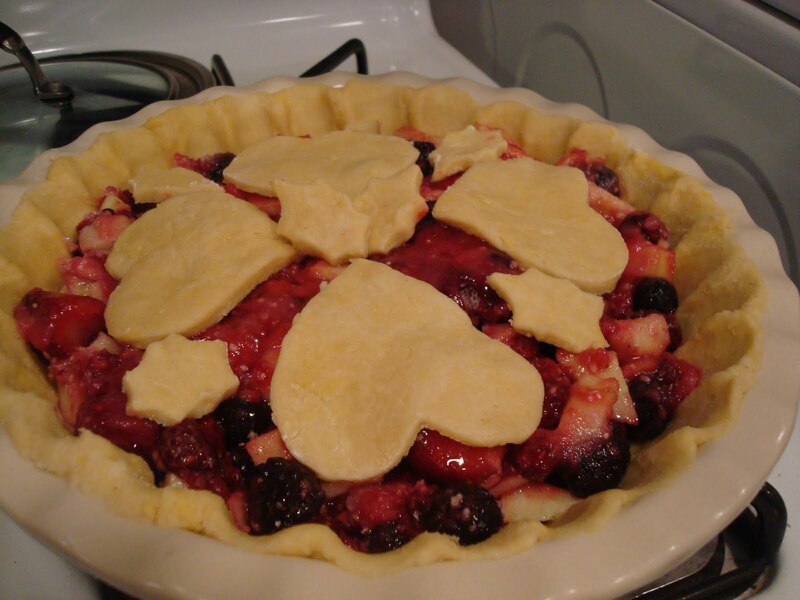 To make your top crust extra-sparkly for the holidays, brush it with some cream and sprinkle on some coarse sugar. Bake at 375 for 45-5- minutes. Another idea for the upper crust is to give it a quick splash with cookie-decorating icing after it comes out of the oven and has cooled off some. The icing will make the pie a little sweeter, so adjust accordingly for your taste buds. All this time, I thought bumbleberry was a type of berry. I'm not a fan of berries, but your pie is pretty with the drizzles. We call this kind of pie "Fruits of the Farm Pie". It's delicious! Yours looks beautiful! I'm sitting here salivating over the pictures on your post, as I always do when I visit your blog. I'm hungry... think I'll go and get snack before retiring. Sounds yummy. I might have to try it one of these rainy winter days. I made the family baked oatmeal about a week ago and they loved it! I am visiting your site for the first time;I am so pleased! 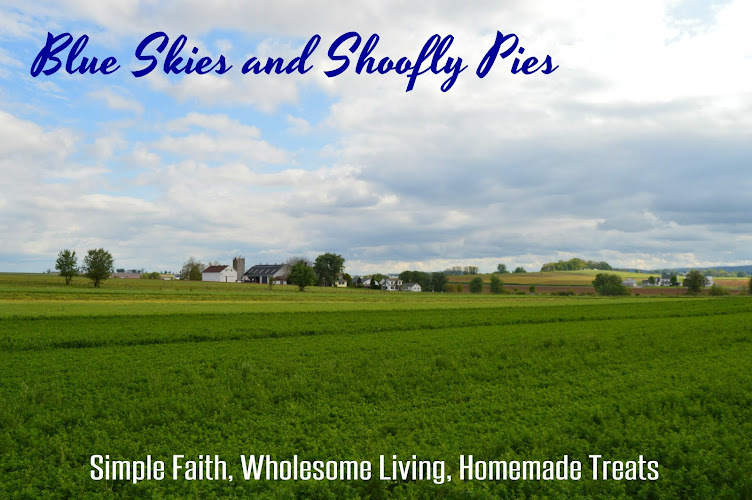 I am so fond of the Mennonite traditions and ways! You make life seem so simple and interesting! I will be visiting your site again! I finally figured out how to open a Google account!!!! Love your site!!! Made this pie for the first time today. Haven't tried it yet, as I made it to bring to a friend's house for dessert tonight. I hope it tastes as good as it looks. 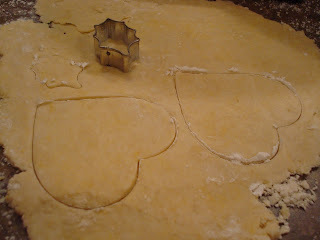 I used your suggestion to decorate with cut-out pastry. I used several leaf shaped cookie cutters to make the top crust. I wish I could upload the photo of the pie; but I can't see a way to do that here. Banana Cream Pie from scratch, natch.